You are here: Home / A Local Roofing Contractor Blog / Roof Replacements / How Long Does a Tile Roof Last in Arizona? In Arizona and other parts of the Southwest, we handle heat like no other part of the country. The dry, intense heat can be in the triple digits for 3 or more months in the summer, and the pressure it puts on our houses is compounded by the inevitable monsoon season and periodic freeze in the winter. With that, it’s always smart to build something that lasts for generations, which is why many Arizonans choose tile roofs to protect their homes, buildings, and ranches from the elements. Often home owners decide on tile because it’s one of the best choices you can make in a hot, arid climate, but it also lasts longer than any other roofing material – whatever the weather. Why is tile so prevalent in this part of the country, and how long does a tile roof last in Arizona? Let’s just say that your grandchildren could easily grow up under the same roof (tiles). Keep reading to learn more about your current (or potentially new) tile roof. Whether you have a clay tile or concrete tile roof, you can expect the tiles to last an average of forty to fifty years. In some cases, the tiles could last nearly double that, but it requires perfect conditions and care – and inevitable repairs along the way. Your roof is incredibly durable in part because of the material and because it includes an underlayment or felt layer underneath that prevents water from damaging the integrity of the clay or concrete. Although the tiles themselves last for many decades, the underlayment needs to be replaced every ten to twenty years. Your timeline depends on what the weather is like, the quality of the roofing underlayment, and how well you maintained your roof in the intervening period. Why Does Tile Last So Long in the Arizona Heat? Tile roofs are durable, beautiful, and incredibly popular in Arizona. Why do so many homeowners choose to add or repair the tile roofs on their houses? Both clay and cement tile fare better in hot weather, like that of the Arizona climate. They’re also ideal for exposure to salty air, such as if you live by the ocean or sea. Tile, especially clay and stone, are forged by the fire, so they withstand it better. On the contrary, the sun is the greatest enemy of the asphalt roof – more so than cold weather, ice, or rain. Tile’s ability to withstand these conditions is why you see these roofs dominating neighborhoods across the Southwest as well as in coastal California and Florida. In addition to handling the heat better than other materials, tile roofs also offer more properties that protect your house by being the most energy efficient roofing material. Tile offers a natural thermal resistance within the raw material, and they reflect light rather than absorbing it. Second, you install tiles individually rather than in strips or sheets, which creates natural ventilation. As a result, tiles stop the heat from transferring from the roof material to your roof deck, which assists your HVAC system during peak load hours and saves you serious cash on your energy bills. Tiles also allow reasonable air flow without letting in water or anything else that might damage the roof. By allowing air to circulate while still keeping out the water during Arizona’s monsoon season, you build a roof that insulates but still allows the house to breathe. Another characteristic that homeowners love about tile is that it is largely fire-resistant, which is essential in dry climates where fires are becoming more common and more dangerous. As Arizonans watch California grapple with fires, we know that our state experiences extremely dry summers, and if we are experiencing a drought, the chances of fires increase even more. Tile has the benefit of being low maintenance, but you do need to check up on it regularly to protect it. The two issues Arizona roofs face are broken tiles and accidental damage. Identifying broken tiles or tiles with significant cracks is essential for protecting your whole roof. Tiles are somewhat delicate and brittle, and they can crack with age or as the result of exposure. Broken tiles expose the felt underlayment. As a result, even a few cracked tiles can damage the lifespan of the underlayment and lead to leaks during harsh weather. However, you should never go up on your tile roof to inspect it. Because the tile is brittle, you could easily cause more damage than you had to start. On the same note, you should avoid allowing service or repair contractors up on your roof unless they know how to properly access tile roofs without causing damage. Don’t let aerial installers, window cleaners, or chimney sweeps up on your roof unless they have equipment like access platforms, roof ladders, and crawling boards. Without the right tools, they can break your tiles and risk their safety. Should I Get My Roof Inspected? 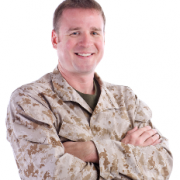 The maximum amount of time you should allow between inspections is two years. But if you want to encourage your roof to last fifty to one hundred years, then choose semi-annual inspections. In Arizona, we recommend checking your tile roofs before and after monsoon season or once at the start of spring and again in the autumn. Roof tiles are the perfect antidote to the desert heat and the severe events that come with it. Roof tiles last for a minimum of 50 years. If you care for them well, your grandchildren will grow up under the same roof you provided for your children. How long does a tile roof last in Arizona? Make your roof last a lifetime. Get in touch today for a free estimate for roof repair or a brand new roof. Tile roofs are ideal for Arizona homes and can last for a lifetime! 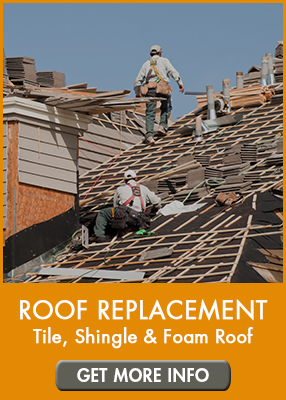 If you need your tile roof repaired, or are interested in a new tile roof, call AZ Roofing Works. We are a top-rated roof replacement company in Mesa, Chandler, Scottsdale and other Metro Phoenix locations! 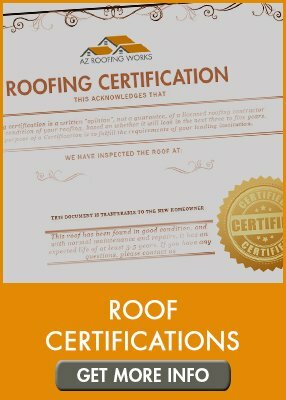 Contact us online or call our office directly at (602) 283-3383.
https://www.azroofingworks.com/wp-content/uploads/2019/03/How-Long-Does-a-Tile-Roof-Last-in-Arizona.png 317 833 AZ roofing works https://www.azroofingworks.com/wp-content/uploads/2018/12/Logo-AZ-Roofing-Works-highres-standard-300x97.png AZ roofing works2019-03-19 09:22:532019-04-07 23:19:54How Long Does a Tile Roof Last in Arizona? AZ Roofing Works is the preferred residential & light commercial roofing contractor in Mesa, Chandler, Scottsdale, Tempe, Gilbert, Phoenix & beyond. 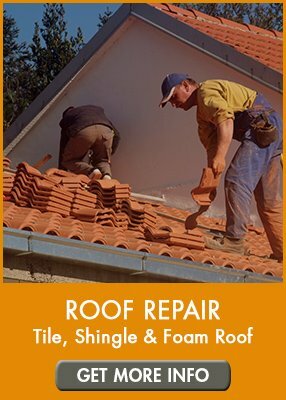 If you are looking to use the best tile, shingle, foam or flat roof repair and replacement company in Phoenix, then request your free estimate right here. I work with roofing companies from Oahu to NY, and AZ Roofing Works is one of the best in terms of communication, intuitive scopes, fair pricing, and quality of finished product. Definitely one of my favorites. Highly recommend. Austin was great to work with! Fair pricing & fast, quality work- I couldn’t be happier as a customer. Working with them was completely hassle free which was really helpful during a stressful rainy season roof leak. Hopefully I won’t need to use their services again but if so, I’ll be back in a flash! They were extremely professional showed up when they said they would the price was very fair for the job done highly recommend this company.